Mari Cartagenova receives positive feedback from her clients and lots of it! 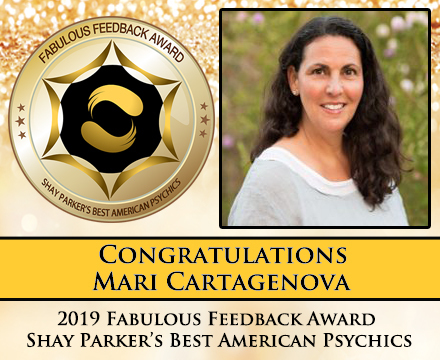 For this reason, we at Shay Parker’s Best American Psychics bestow the honor of 2019 Fabulous Feedback Award Winner to Mari. 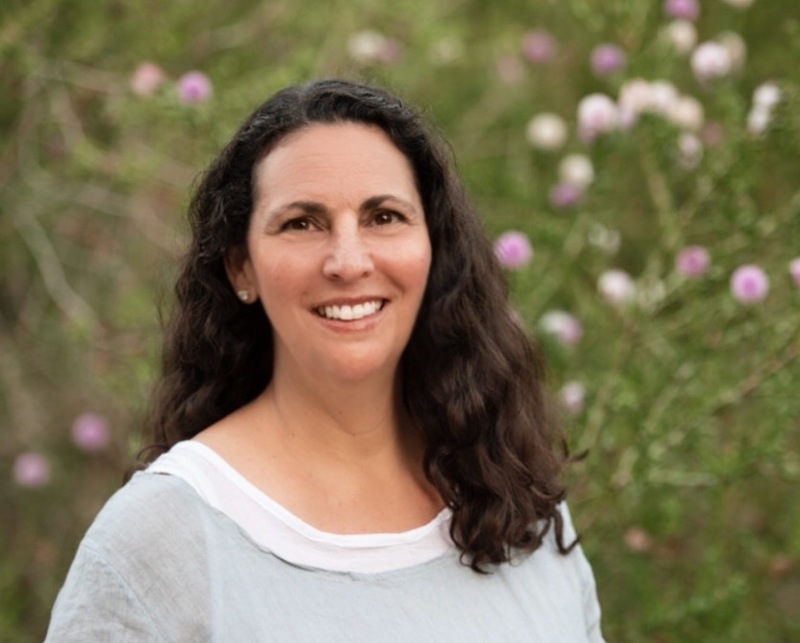 Mari is known for jumping directly into her readings and making her clients feel at ease. She has been described as “truly authentic.” In their feedback submission, her clients often mention her positive energy. We have noted how many folks she has helped with her work. She brings a great sense of peace and closure to her clients. 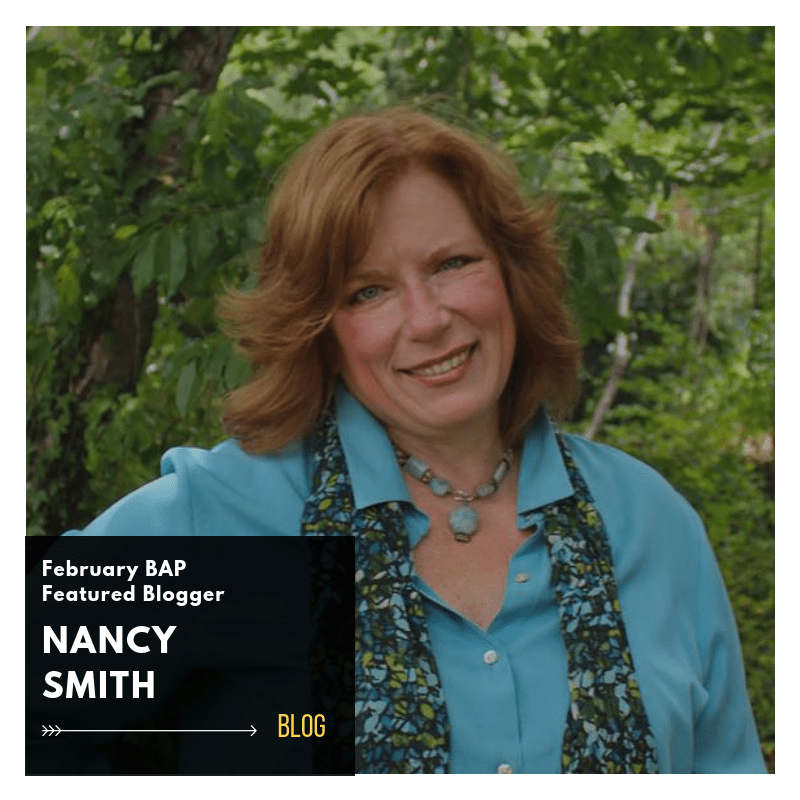 She has made true believers out of skeptics, amazed clients with accurate details, and provided concrete, beneficial guidance to those seeking direction. 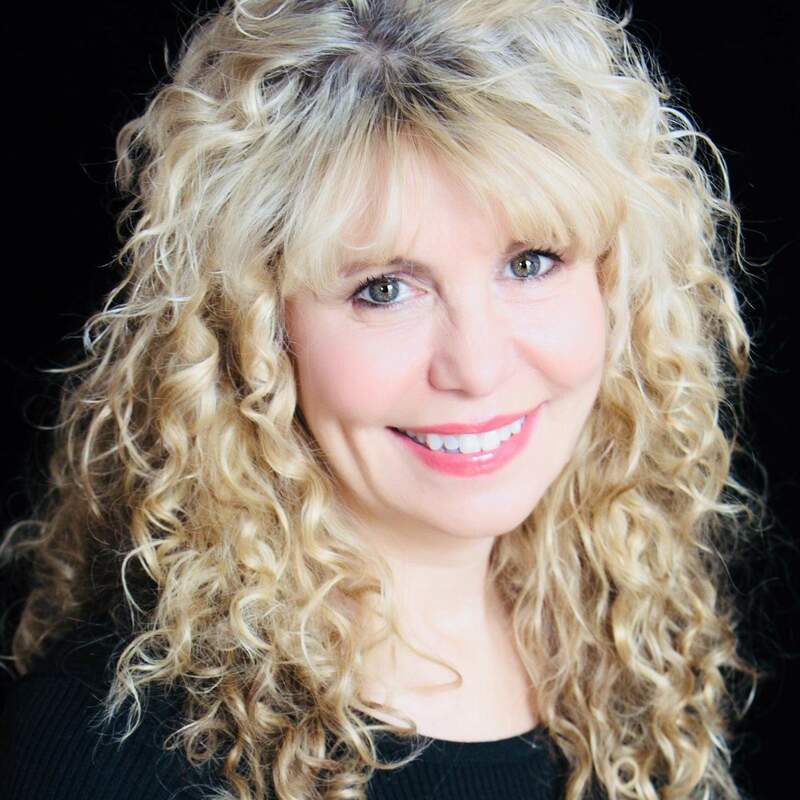 Mari has the all-around skill set of psychic medium, card reader, channeler, healer and more. She also particularly adept at animal communication. All one has to do is take a peek at her website testimonials to read of the amazing connections she has made with crossed over and missing pets. She has had significant success with locating missing animals. 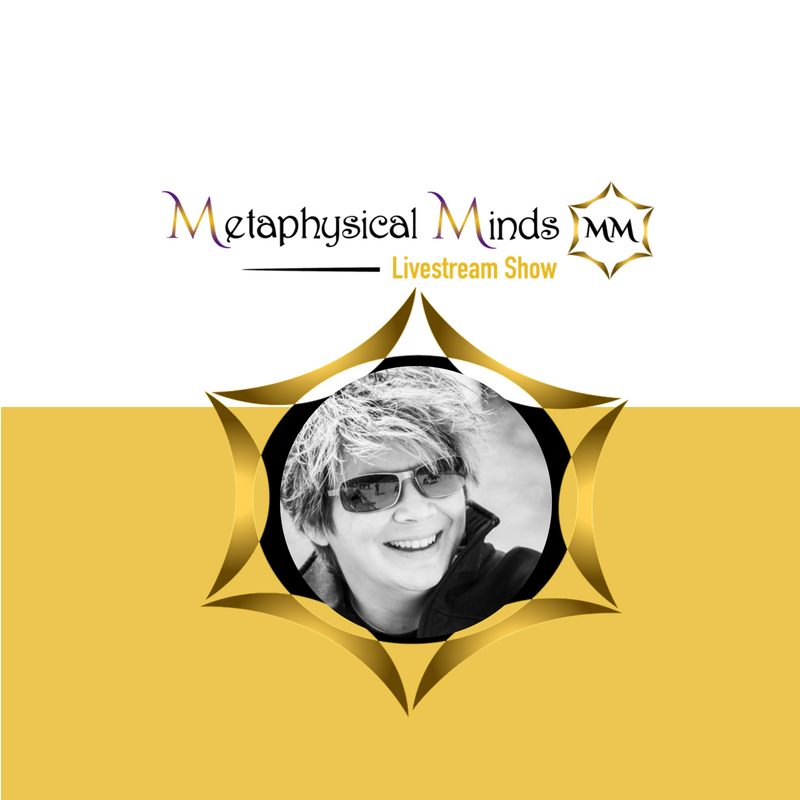 Additionally, Mari is a co-host to the radio program “Lightworkers Unite”, along with New Hampshire Medium June Elaine Evans. She has been featured on the TV show “The Medium Next Door” and in the Boston Voyager Magazine. 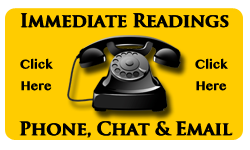 Mari reads for anyone that can reach her via the internet, but also provides in-person readings in New Hampshire and Massachusetts. 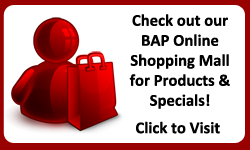 She is an Immediate Reader on our site and schedules several events throughout the year. Be sure to check her profile and/or follow her social accounts for updated information. We are happy to be able to offer this award to Mari and delighted to have her as a member of our team. Shay Parker’s Best American Psychics proudly announces Katherine Glass as our 2019 Psychic of the Year Award winner! Woot! Katherine is one of our longest standing members. She has been the recipient of several honors over the years and was even named BAP’s Psychic of the Year back in 2013. She is being awarded the honor again this year due to her consistency in embodying a true Best American Psychic.